Since the release of their new album in the summer of 2015, 'Beauty Will Save the World', on Occultation Records, RAIJ are planning to build on their reputation as one of the UK's most experimental bands. Following live performances in Liverpool and Leipzig to herald the new phase, RAIJ are looking to promote their latest release.Taking their name from a fictional terrorist group in Luis Bunuel’s 'That Obscure Object of Desire', The Revolutionary Army of the Infant Jesus (RAIJ) blend spoken word, traditional European folk, world/tribal music, and industrial/experimental sounds. 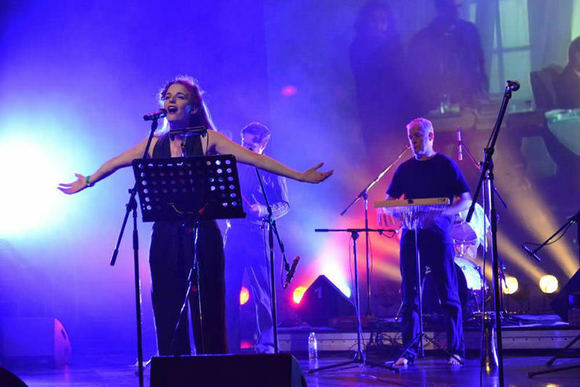 RAIJ’s music is often described as apocalyptic folk and has drawn comparisons to Current 93 and Dead Can Dance. RAIJ were formed in Liverpool in 1985 and from the beginning they challenged and confounded musical and artistic classification. Not so much a band as a loose creative collective, they gained an immediate reputation for their immersive multi-media performances combining layers of visual imagery, elements of ritual, disparate samples, field recordings and mesmeric live music. RAIJ has been invited to perform at Tallinn Music Week 2016, 31 March - 3 April.